30 Days of Food Inspiration – Day Five | Eat.Drink.Life.Love. Day Five: Gnocchi with spring peas and tarragon. First, for those who believe working in a restaurant kitchen is glamorous, it’s not. It’s a lot of really hard work. Hug your chefs (and sous chefs and dishwashers and anyone who works in a kitchen). Second, I learned the beauty of the make-ahead meal. When you make something from scratch and freeze (or otherwise preserve) it, you have a fast homemade meal when you need it. 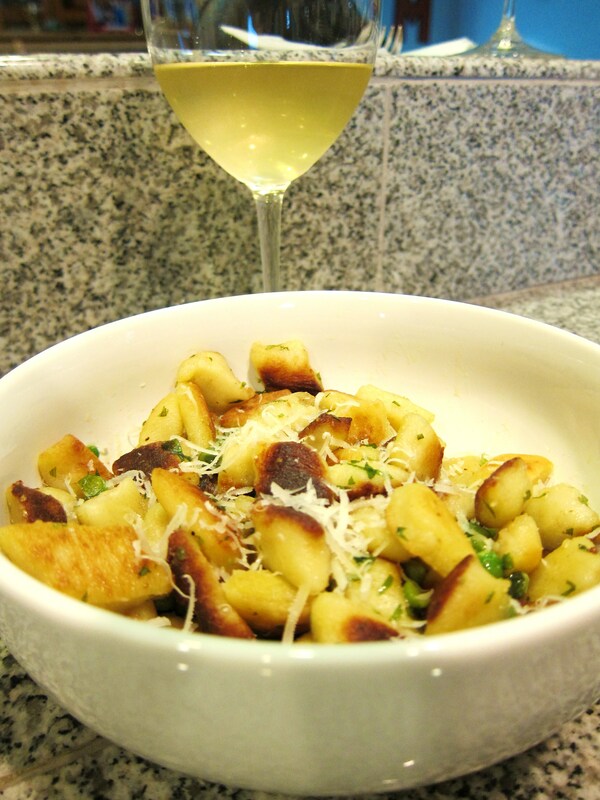 * Make your homemade gnocchi using whatever recipe you love. * Freeze them on a cookie sheet (make sure they’re not overlapping each other). When frozen, portion and store in a glass container or plastic zip bag. * When ready to eat, melt a little butter or put some olive oil in a saute pan. When hot, throw the frozen gnocchi in. Make sure they’re not overlapping. Get them brown and crisp on one (or both) sides, depending on your preference. * Salt, sauce, herb (whatever) and eat. Crispy on the outside, pillowy soft and tender on the inside. And that’s exactly what we did for a last-minute Meatless Monday meal. Gnocchi with peas and tarragon. Just a little butter, salt and Parmesan cheese. Perfect comfort.